Do you have an old photo frame that you'd like to brighten up? Give my latest How To a try and you can display it with pride! My cotton fabric scraps were taken from fabric shade cards, but you could use scraps from your stash or even up-cycle pretty fabric from old clothes. I've gone for a bright and eclectic mix of fabrics as that's my thing, but you can be as matching or clashing as you wish! 5) Display your lovely updated photo frame! A special photo presented in a hand decorated frame would also make a lovely gift idea. Happy making! Now the evenings are becoming more autumnal, I thought I'd share my Hot Chocolate recipe with you. It's perfect for a cosy Wednesday evening in with The Great British Bake Off... Enjoy! The marshmallows I enjoyed with my hot chocolate are handmade Chocolate Mousse Marshmallows from The Marshmallow Lady. I hadn't tried handmade marshmallows before and they were lovely- really light in texture compared to shop bought marshmallows and with a great flavour. What is your favourite hot drink at this time of year? I'd love to hear your recipes and recommendations! These are the pieces I've finished today, but I've knitted pieces in other colour combinations and I'll be making them into brooches later this week. I'll keep you posted! Here is a sneak preview of some new materials I will be working with to create some new jewellery pieces- Some beautiful colours in off-cuts of Harris Tweed and some gorgeous Jamieson and Smith 100% Shetland Wool from the Shetland Isles. It's technically a 2ply yarn but used as a 4ply and the colour range is extensive. I mentioned in my previous post that the yarn I have been using for Fair Isle knitting (although lovely) doesn't come in a wide enough colour palette and is also a little thick for achieving quite the effect I wanted, so I'm excited to start working with these and I'll be sure to post the photos of what I come up with! I love craft books and I don't think you can ever have enough. They are lovely to have and although they are not always the type of book that you read from cover to cover, they are great to dip in and out of for inspiration. The neatest section of my craft bookcase! If you've been reading along lately you'll know that I'm really getting into embroidery, so when I spotted The Stitch Bible by Kate Haxell I treated myself to a copy. There are some great traditional embroidery books out there, but I find this book refreshing as it gives a quirky modern twist to the traditional techniques. I've also just bought this book, Woolly Embroidery, which is a translation of very cute Japanese embroidery patterns, focusing mainly on Crewelwork, Stupmp Work and Canvas Work. Being a real magnet for all things wool, wool embroidery really appeals to me. I'm looking to combine Harris Tweed with wool embroidery for some new jewellery pieces, so I'm excited to jump into this book and get inspired. The first section of the book is dedicated to very sweet woolly embroidery designs for items such as cushions and bags, followed by a "How To Stitch" section and the tutorials for the featured designs. I love the "can do" focus of the book- the whole ethos is centered around "If you can sew a button, you can embroider" and it encourages you that whatever you stitch will be lovely because it's hand worked, even if it's not perfectly stitched. 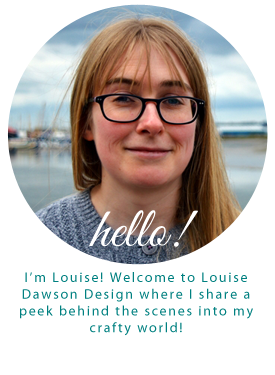 It really fills you with the confidence to experiment with freestyle designs too. So I'm off to start embroidering! What great crafty books have you discovered lately? Share them in the comments below! The Fair Isle jewellery collection is gradually beginning to take shape. I've been busily hand knitting Fair Isle pieces and felting them in the washing machine, cutting them into the brooch shapes and embellishing with a little scattering of sparkly Swarovski Crystals that highlight the colours of the beautiful British wool. 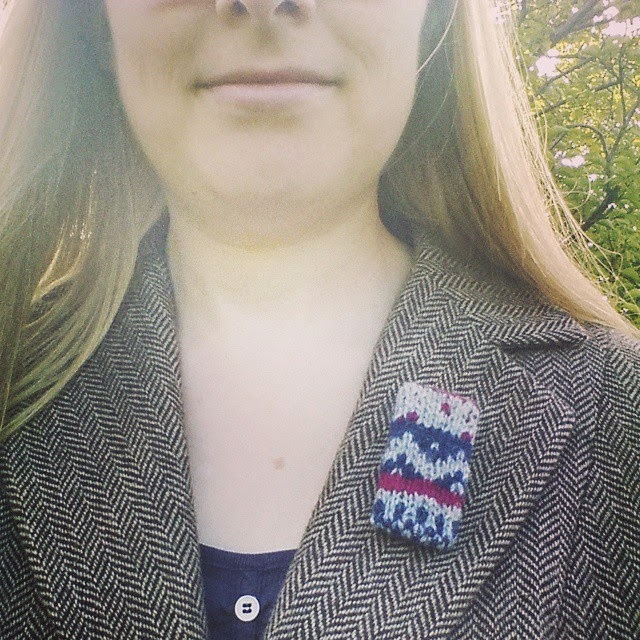 I'm planning to make some non felted Fair Isle brooches too, I'll share those as soon as they're done. However, although I love the Wendy Ramsdale DK yarn I've been using, it's beautiful to knit with and it felts beautifully (as well as being 100% British made) I'm feeling like the colour palette may be a little limited. I've been looking at some ranges in Shetland wool that come in a huge range of colours, so I'm going to order some of those to try. 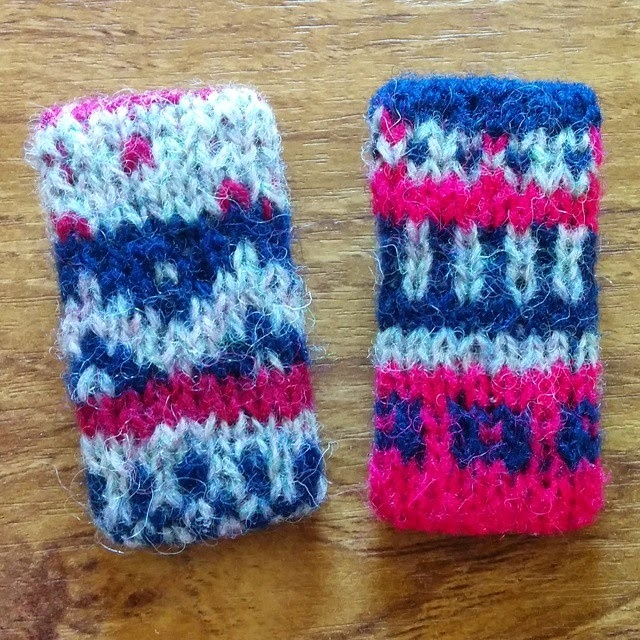 I'd recommend The Very Easy Guide To Fair Isle Knitting if you'd like to learn too. It's the best book for beginners that I've seen as it takes you through the stages of learning to Fair Isle in manageable lessons, from the very basics of regular knitting, to holding and stranding the yarns in Fair Isle patterns and then on to lots of stitch patterns and projects to apply them to. I didn't find it very easy at first, but I think it's a case of perseverance! 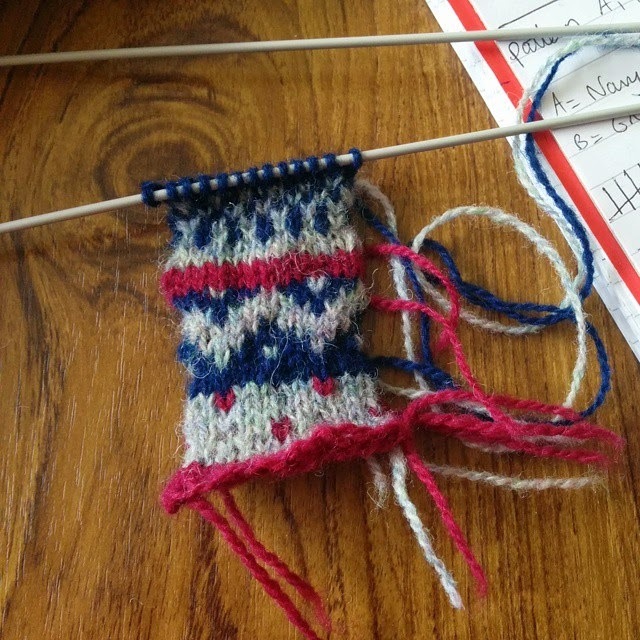 Do you have any Fair Isle tips you'd like to share?